Optionally have clock engraved. 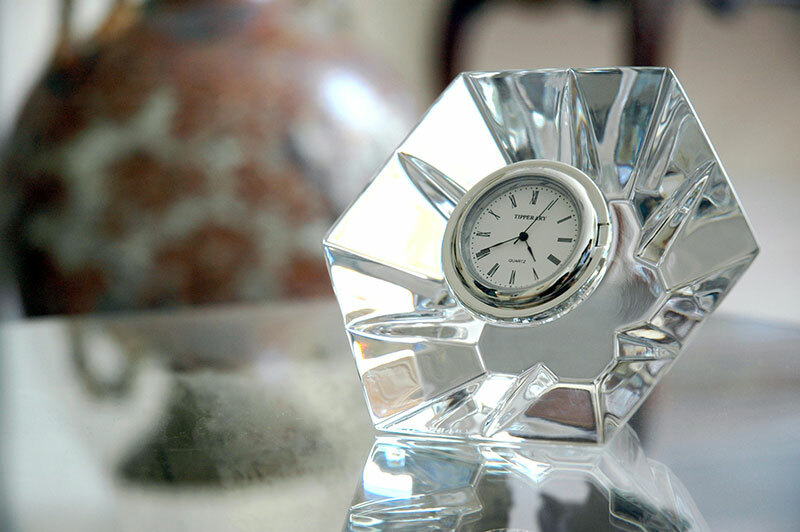 Text will be centred and engraved below clock face on crystal. Max 20 characters. Above option to Engrave must be set to Yes. 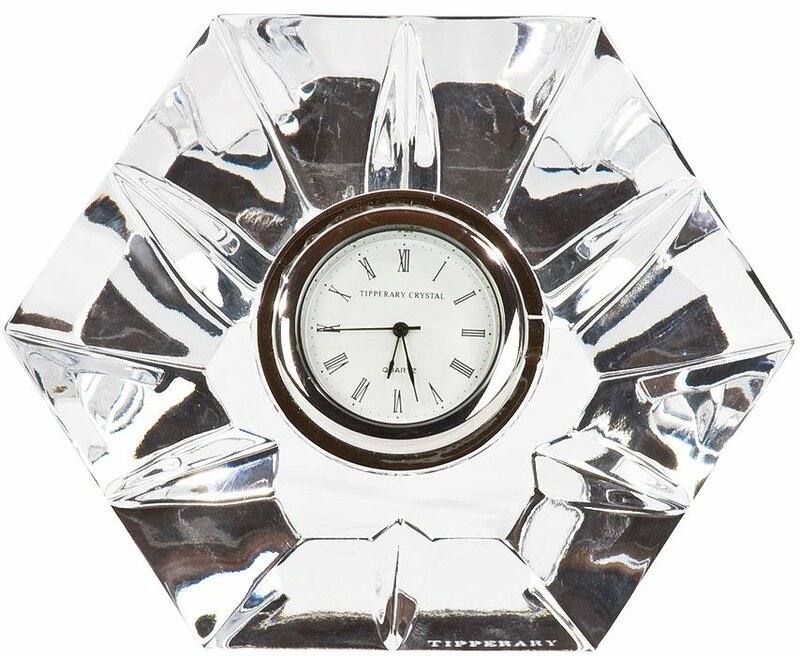 A beautiful crystal clock piece from Tipperary Crystal which will be enjoyed for many years to come. Can optionally be engraved with your chosen text. Comes presented in a Tipperary Crystal gift box. Dimensions: 97mm x 97mm x 40mm. Weight 435g.